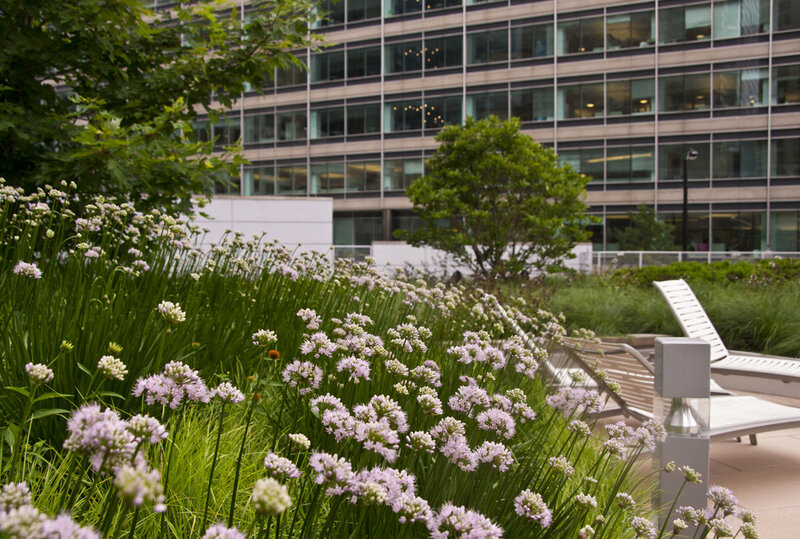 Christy Webber Landscapes was tasked to design and install a 10,500 square foot roof deck for the residents of this West Loop high-rise building. The former deck was a vast open space with a single concrete planter, now it’s an urban oasis with several large, custom made, polygonal shaped raised panting beds. Each planter was strategically sized, shaped and arranged to create several outdoor spaces. The minimal yet sophisticated plant palette provides year-round color and interest.